a. 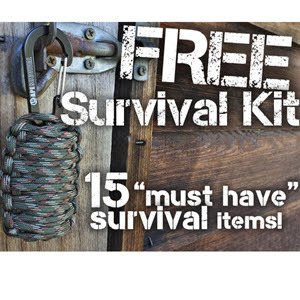 The environment is the key to the types of items you will need in your survival kit. How much equipment you put in your kit depends on how you will carry the kit. A kit on your body will have to be much smaller than one carried in a vehicle. b. Always layer your survival kit, keeping the most important items on your body. c. In preparing your survival kit, select items that can be used for more than one purpose. (1) Water repellent or waterproof. (2) Easy to carry or attach to your body. (3) Suitable to accept various sized items.